The Toronto International Film Festival has begun and it hit the ground running with the films OUTLAW KING, MONSTERS AND MEN and GRETA taking over the red carpets! But before and after the Gala screenings the stars of the films were hitting up the party circuit. Here are some of our favourite celebrity spottings! Grey Goose vodka and Soho House Toronto hosted the official after-party for NEON’s MONSTERS AND MEN with stars Chante Adams, Kelvin Harrison Jr, Jasmine Cephas Jones, Cara Buono and John David Washington. Guess enjoyed cocktails well into the night, and yes, there was lots of dancing and singing along to the DJ’s playlist. 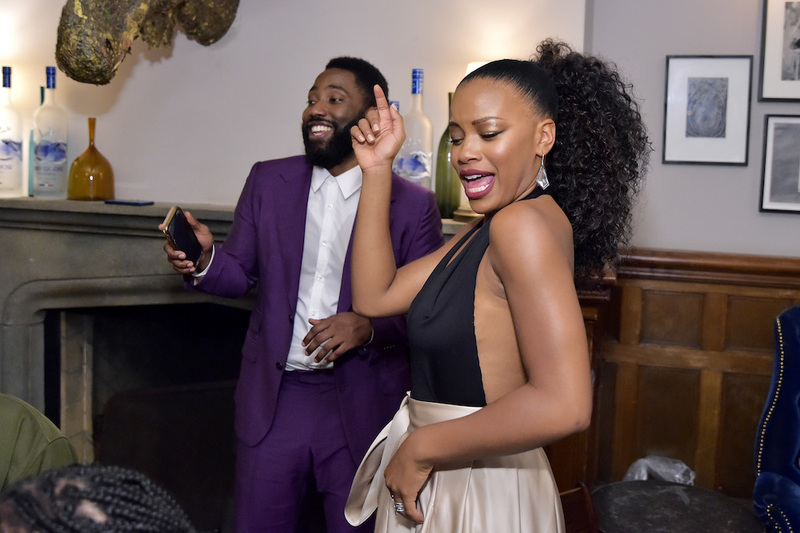 John David Washington and Chante Adams at NEON’S “MONSTERS AND MEN” Premiere Party Hosted By GREY GOOSE Vodka And Soho House. Photo credit: Stefanie Keenan/Getty Images for Grey Goose. Grolsch presented the premiere party for the film GRETA at Weslodge. The cast was spotted at Weslodge following the film’s world premiere. 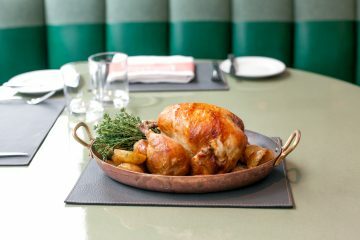 Neil Jordan, Maika Monroe, Isabelle Huppert, Chloe Grace Moretz and Lawrence Bender were all at the party enjoying southern fried chicken sliders, mushroom arancinis, and other saloon favourites at this King Street West hotspot. celebrate the world premiere of their film and festival opener, OUTLAW KING. 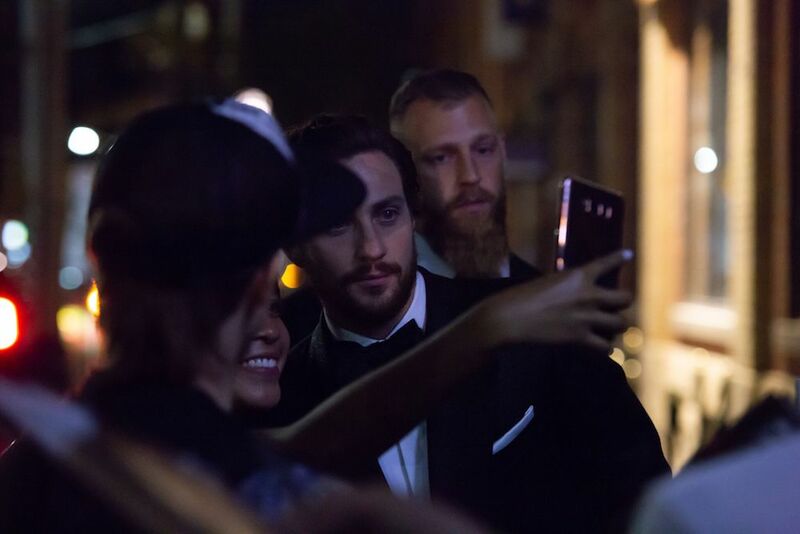 They were super nice as they stopped to take selfies with fans before heading into the restaurant to enjoy a Scottish-inspired menu including whiskey cured salmon bannock and sticky toffee puddings. 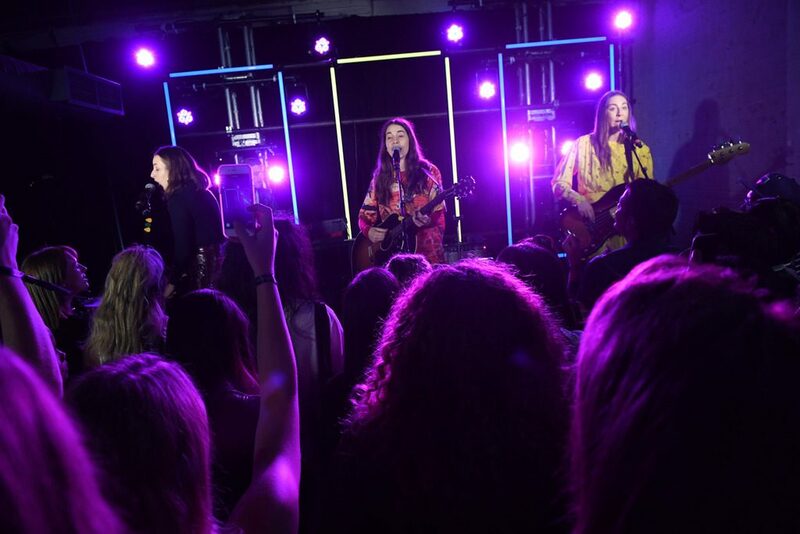 RBCxMusic hosted a special performance by HAIM at the RBC House on opening night at TIFF. 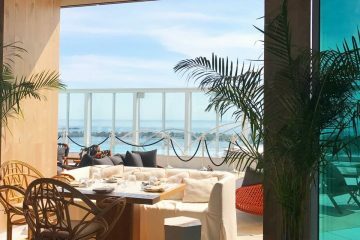 This venue is slated to be buzzing with festival events including more live music performances, premiere parties, press conferences and other events. HAIM at the RBC House. Toronto, September 6, 2018. Photo credit: Sonia Reccia, Getty Images for RBC.